Triangular freeform piece of boulder with light speckled brown parent material. 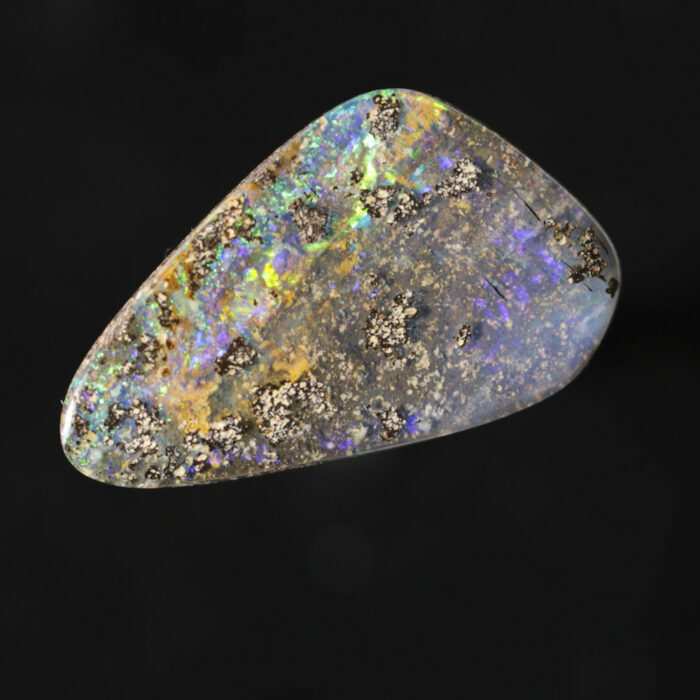 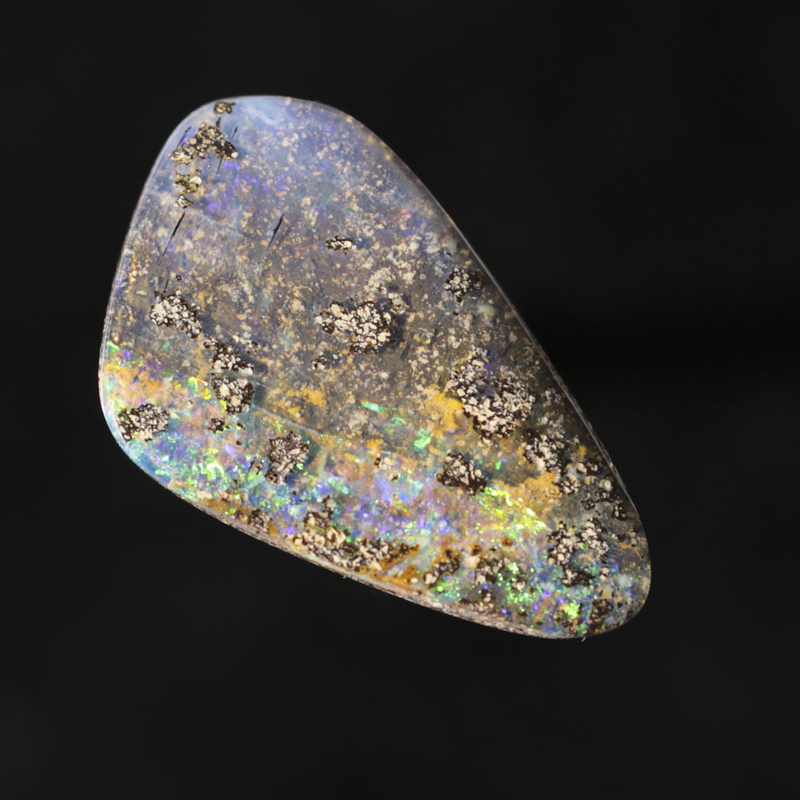 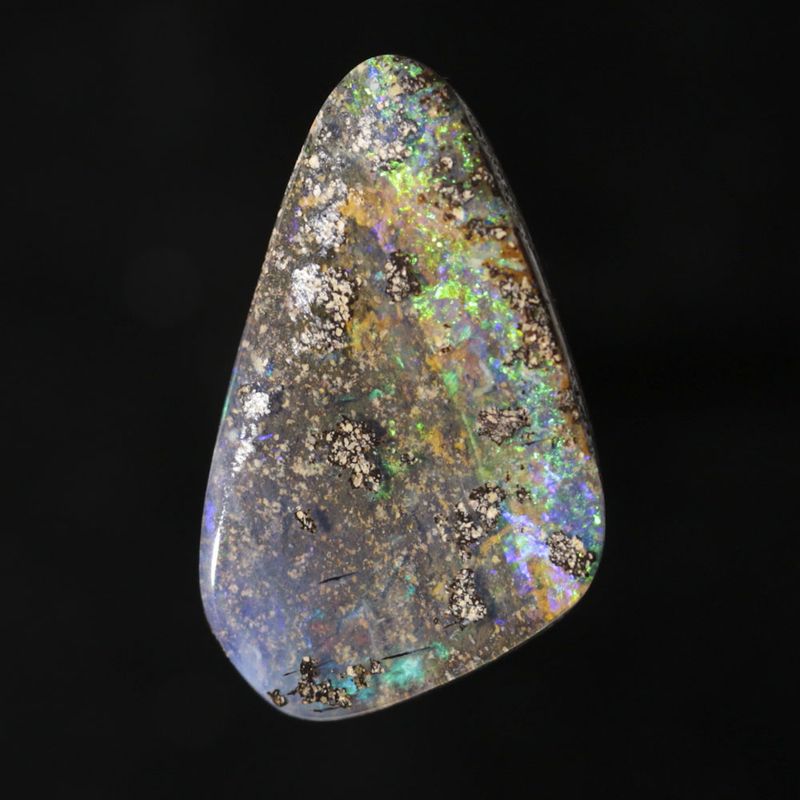 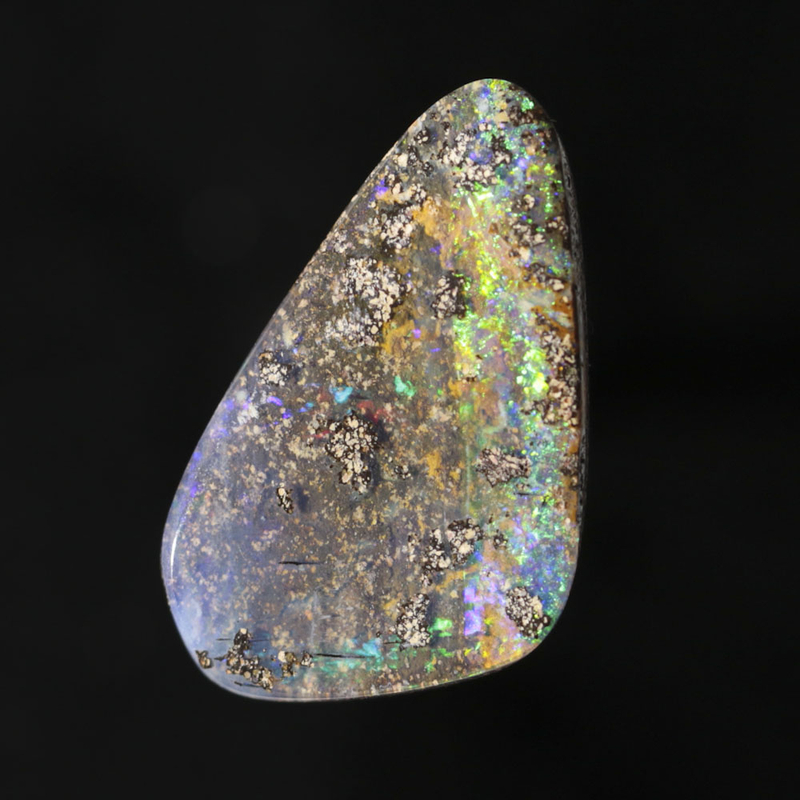 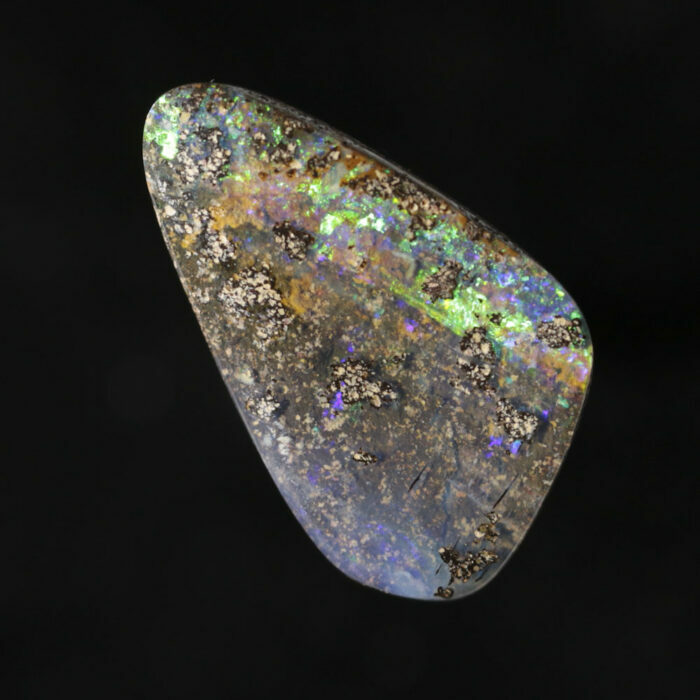 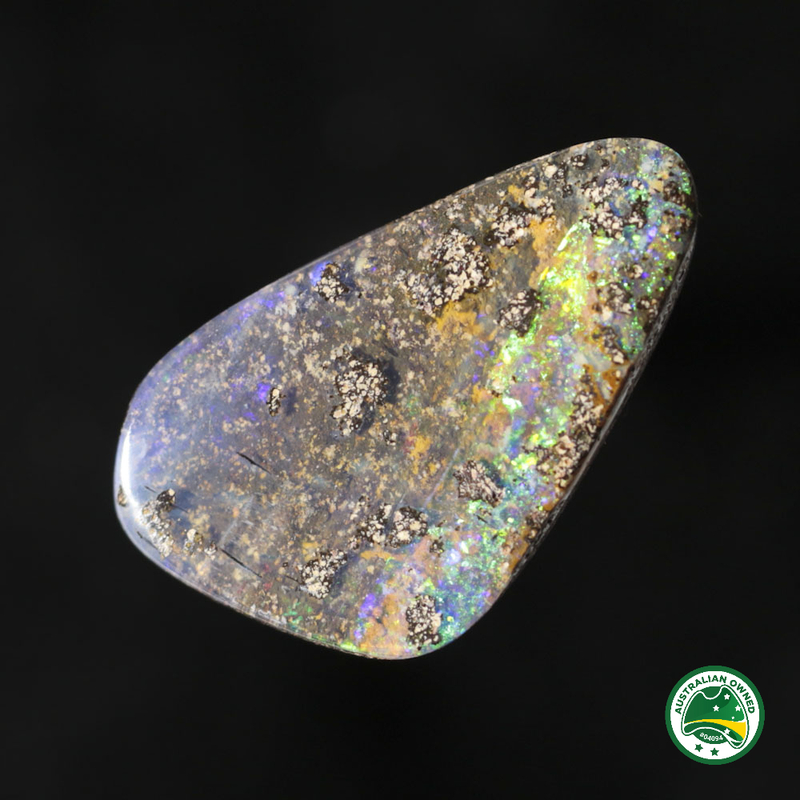 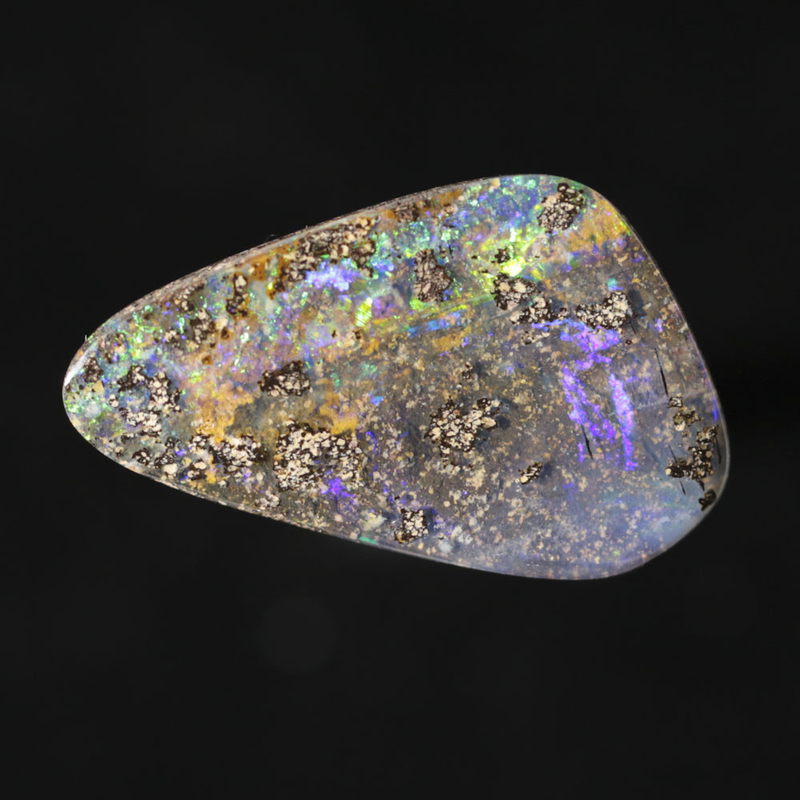 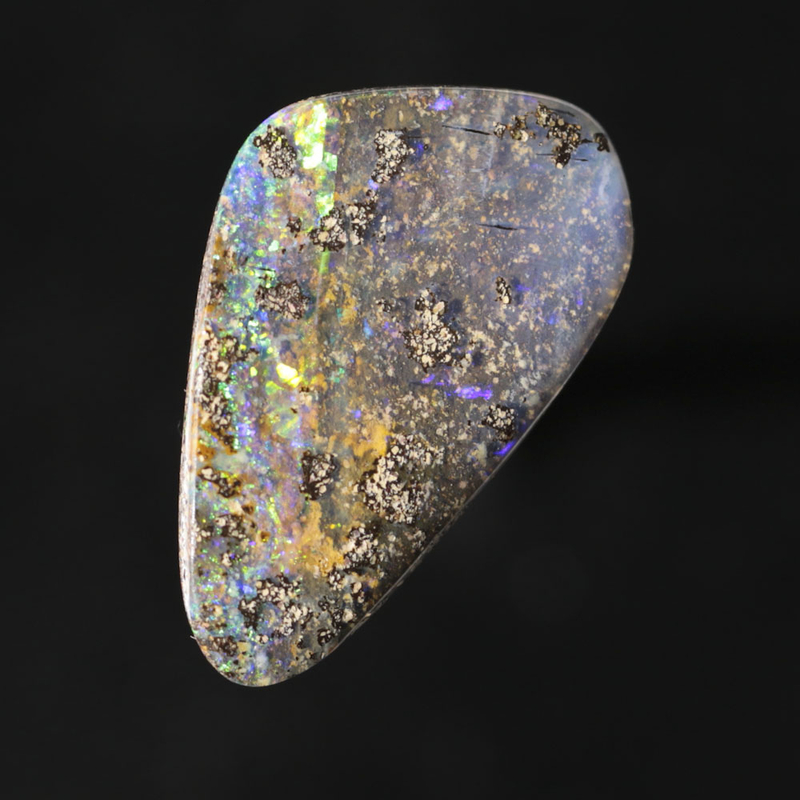 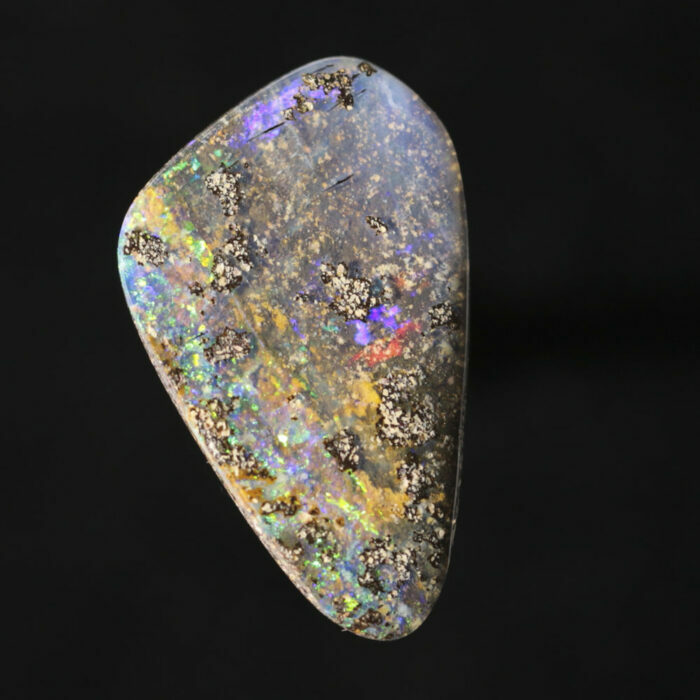 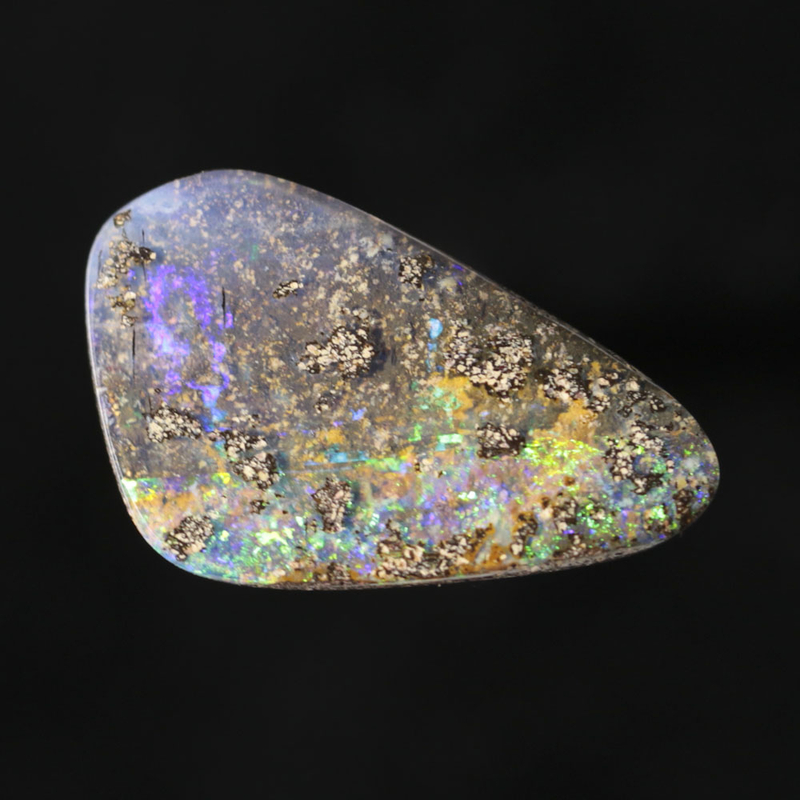 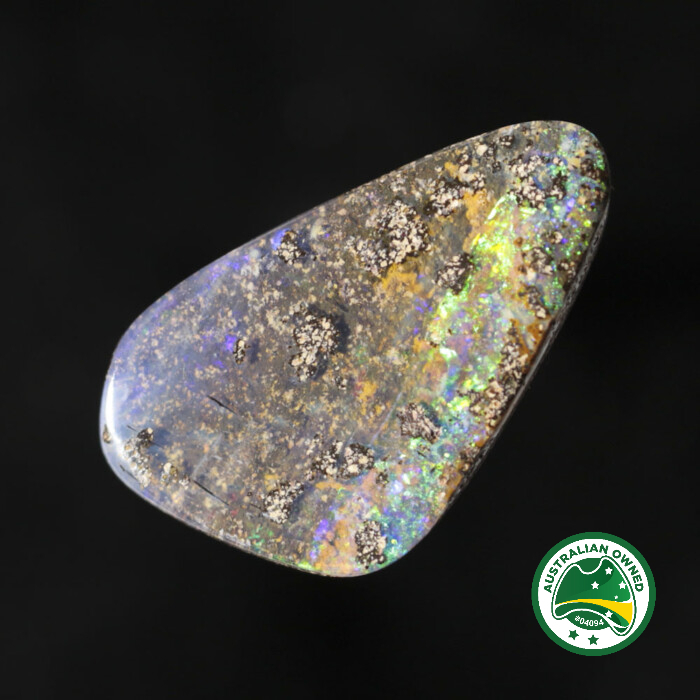 This stone has a slightly carved concave face with a layer of clear glass-like material covering the face, showing the parent material. 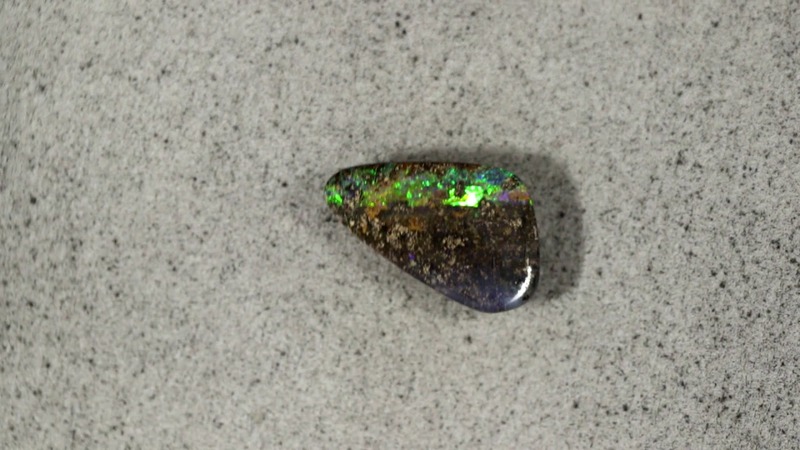 Bright rolling flash in emerald green and blue runs down the right side with smaller areas of geen, blue, and purple flash through the left and centre.